A look at the guest list. 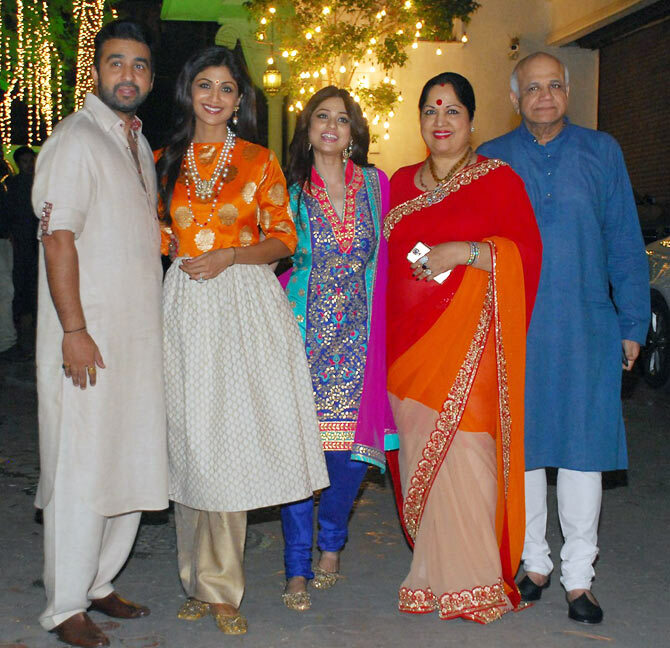 Shilpa Shetty and her husband Raj Kundra kicked off the Diwali celebrations with a party for friends and family at their Mumbai residence over the weekend. Shilpa Shetty looks stylish in a two-tone salwar suit, as she poses with husband Raj Kundra. Shilpa’s parents Surendra and Sunanda Shetty and her sister Shamita pose for a picture. 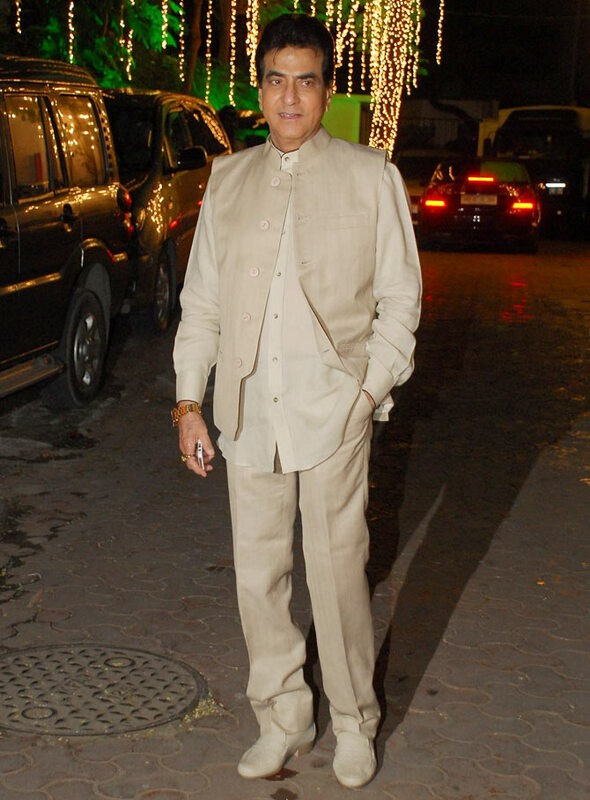 Anil Kapoor, who recently threw a party on Karva Chauth, arrives looking elegant in a white kurta with a black Nehru jacket. 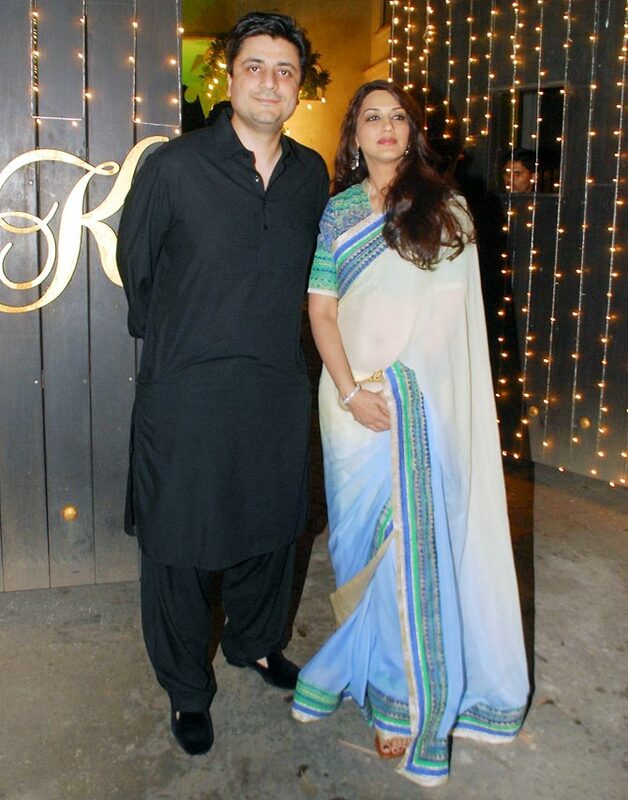 Actress Sonali Bendre arrives with husband Goldie Behl. 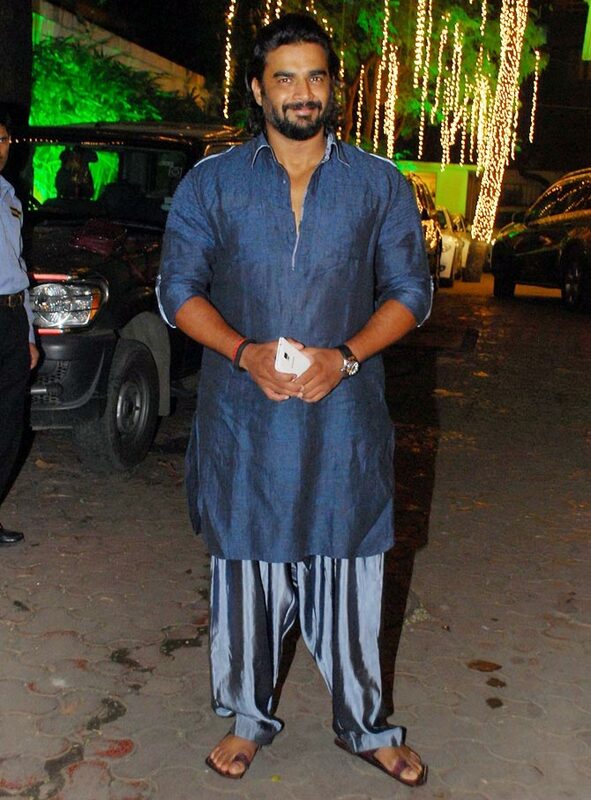 R Madhavan steps out in traditional wear. 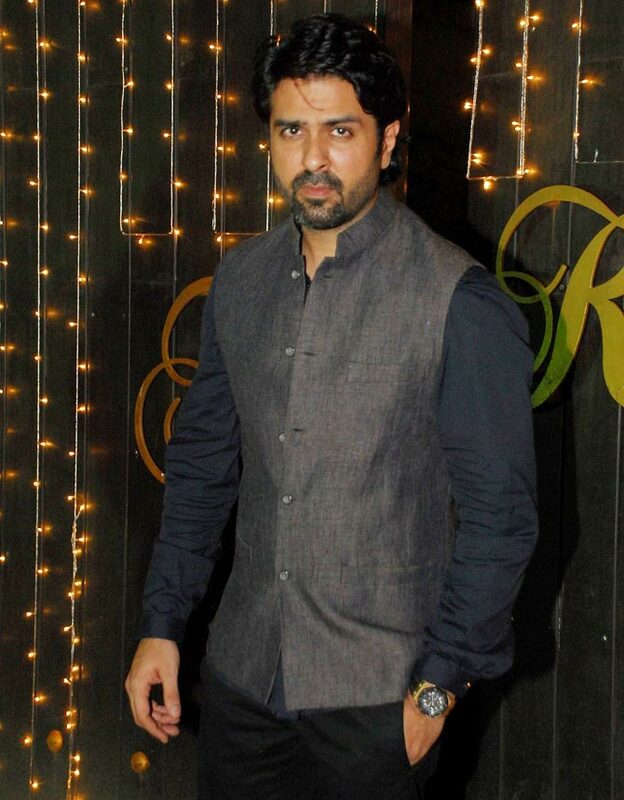 Harman Baweja arrives sans girlfriend Bipasha Basu. 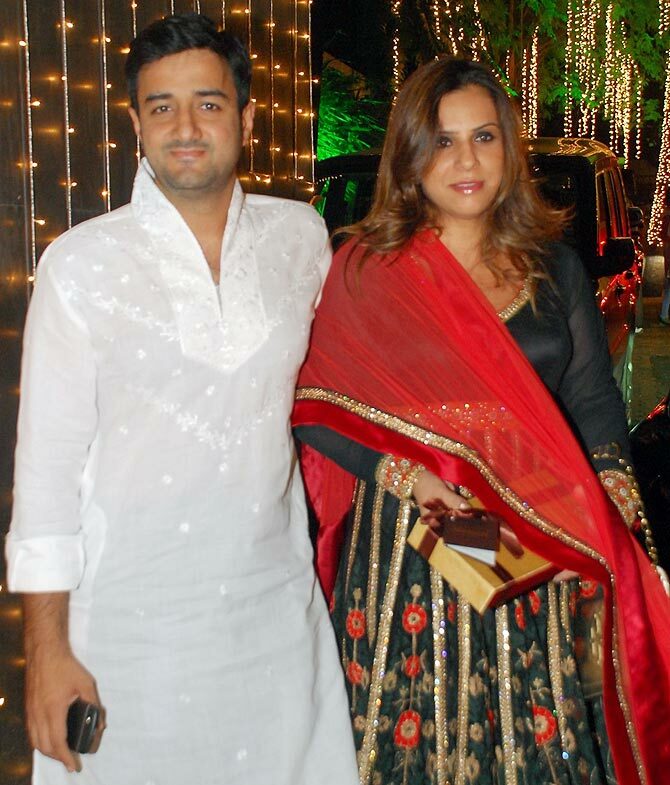 Bang Bang director Siddharth Annad arrives with wife Mamta. 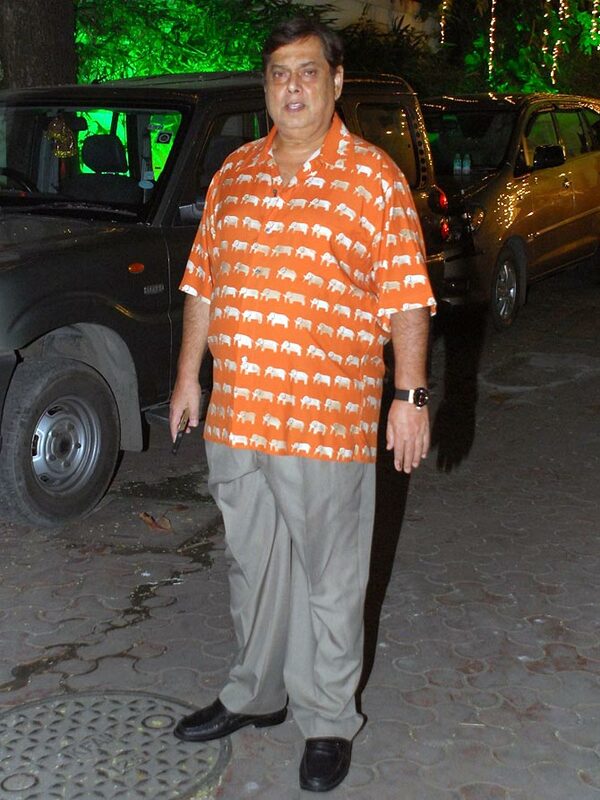 Director David Dhawan prefers a casual look. 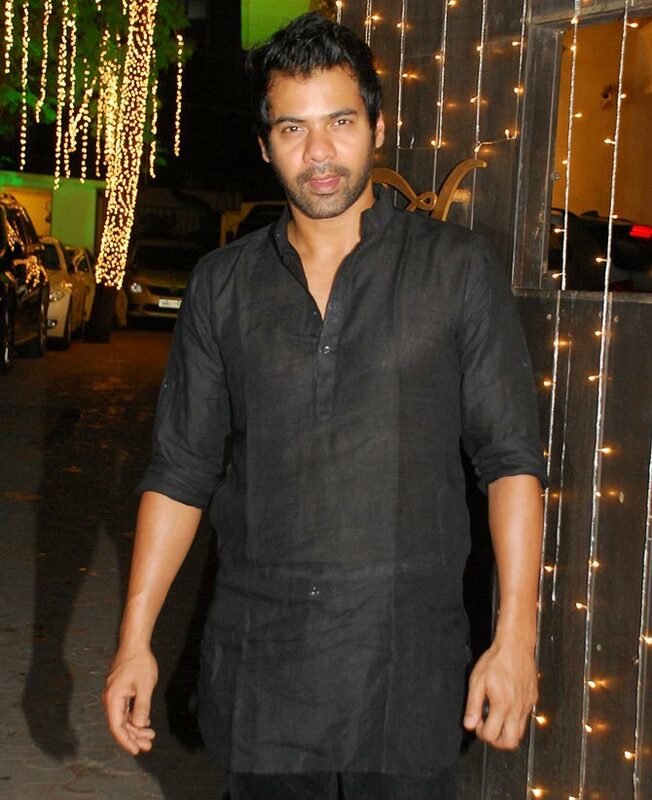 Television actor Shabbir Ahluwalia arrives. HOTTEST styles of TV stars to amp up your Diwali outfit! Money-wise: 5 tips to have a cracker of a Diwali!